He publication of the work Bitcoin: Decentralized Electronic Monetary System by the mysterious author Satoshi Nakamoto in 2008 marked the beginning of a new era in the information world. There was a crypto-currency – a decentralized digital unit of calculation, transactions of which are recorded in a chain of blocks. 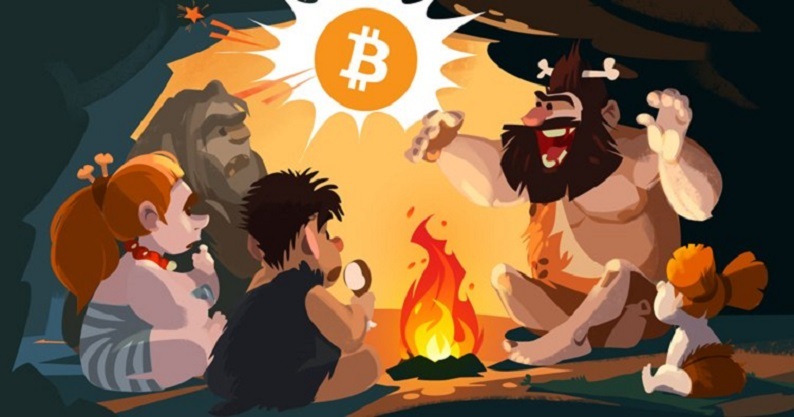 but the idea of ​​cryptocurrency since the end of the last century ripened in closed circles of cryptographers and ciprofancks – people interested in protecting privacy. Bitcoin is called a follower of at least two cryptocurrency systems, which have not been implemented. The idea of ​​the “anonymous distributed electronic money system” b-money was described in 1998 by the developer Wei Dai. In the same year, the scientist in the field of computer science, cryptography and law Nick Szabo proposed the concept of a decentralized digital currency Bitgold using the Proof-of-Work system (a modified version of the Proof-of-Work-protocol is used in Bitcoin). Satoshi Nakamoto writes that work on bitcoin began in 2007. White paper bitcoin was presented in the mailing list for developers on October 31, 2008, and the first block in Bitcoin, containing the first 50 bitcoins, was produced by Satoshi on January 3, 2009, which is considered the birthday of bitcoin. The first version of bitcoin software was published on January 9. The recipient of the first bitcoin-transaction, carried out on January 12, was the cipherophone Hal Finney, the creator of the first reusable Proof-of-Work RPOW protocol. During the transaction Satoshi sent Finney 10 bitcoins to test the system. Finney said he “grabbed the first software release as soon as Satoshi announced it”: “I think I was the first person after Satoshi who ran Bitcoin,” Finney wrote. When the creator of bitcoin, never revealing his identity, retired in 2011, the development of Bitcoin was continued by the programmer Gavin Andresen (until 2016). “The rest can see that someone is sending a certain amount to someone else, but there is no information binding the transaction to a certain person,” says white paper bitcoin. Ka neongo ia, bitcoin is called only partially anonymous, and this is due to the peculiarities of the so-called “public” battle bitcoin: it preserves the history of all transactions, which, on the one hand, ensures transparency of operations, but on the other, allows you to track the transaction history of a particular address, which can help in the identification of the person. Former CIA agent Edward Snowden ui 'a the public blockade “a much bigger mistake in the architecture of bitcoin” than the technical limitations in the processing of transactions. “This is simply incompatible with the mechanism aimed at long-term Ko hono fetongi 'aki, because it is impossible to preserve the history of all purchases that a person has made in his life, while giving others access to all operations performed,” Na'a ne pehe 'e. And in March, Snowden released secret documents of the National Security Agency (NSA), from which it follows that the agency has been tracking bitcoin users since at least 2013. During the period 2013-2014, the dynamics of the bitcoin course were marked by extreme instability. In November 2013, the price of bitcoin for the first time overcame the $ 1000 threshold, having increased 5 times in a month and 17 times since July 2013. Experts call two main reasons for such explosive growth: the spring Cypriot banking crisis and the increased demand from Chinese investors. Ka neongo ia, by the end of 2014, bitcoin fell to $ 310. Ka neongo ia, the impressive results of 2013 attracted the attention of the world media, which gave a serious impetus to the release of bitcoin from the circles of geeks and its mass distribution, as well as the creation of other cryptocurrencies.